It’s no secret that I am a fan of Mexico. In recent years I have traveled to Riviera Maya and Mazatlan, but I have never been to Los Cabos. 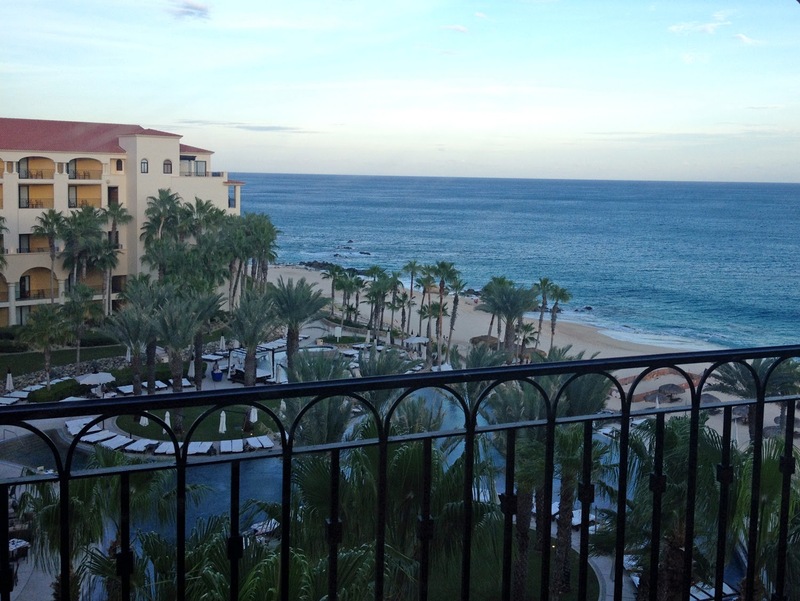 I was approached by a luxury resort to come visit Los Cabos. Since I had never been there, I was hesitant to just make the trip for a few days. 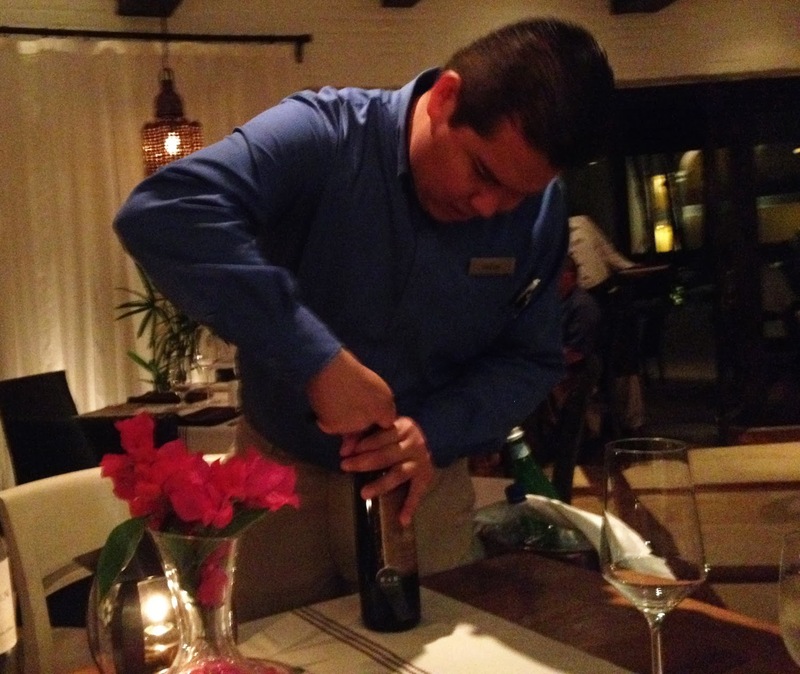 Instead, I worked with the Los Cabos Tourism Board to arrange an entire week full of activities (and three different hotels in unique areas). I had an early morning flight to Dallas, with a long layover there before my trip to Mexico. I decided to use the delay to treat myself to a pedicure at XpresSpa. I’ve seen them in the airports many times and was ready to get back in the flip flop mood. I arrived in Los Cabos just after 4:00 pm and Leonardo from the Tourism Board picked us up and drove us the half hour to the Hilton Los Cabos, our first hotel. My first thoughts were about how different this part of Mexico looked than any part I had previously been. There were quite a few high end resorts, all spread out along the beaches. The scenery at this tip of the Baja Peninsula was really quite different. 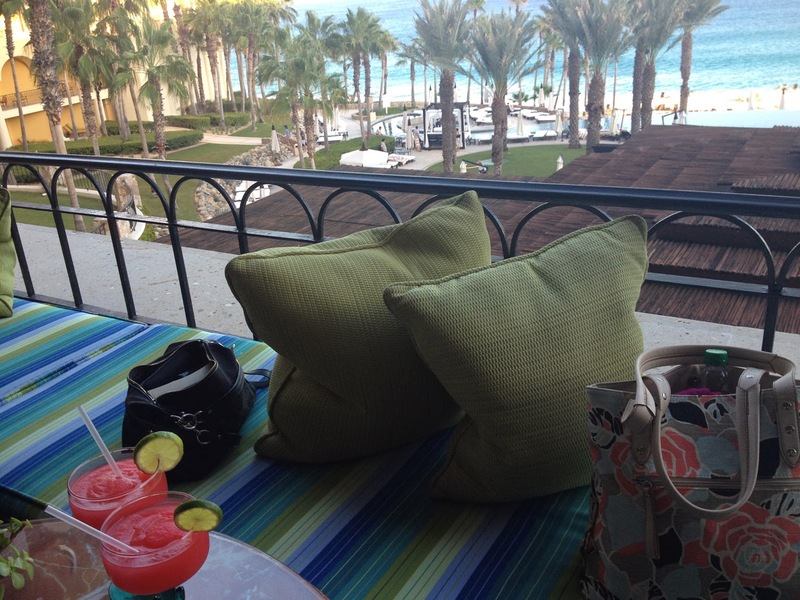 We were met in the open air lobby at the Hilton by Marketing Manager Rossy Rossier and it didn’t take her long to make sure we had the hotel’s signature drink, Pomegranate Margarita’s, in our hands. The room we were given had an over-sized tub and separate shower, and a breathtaking view of the beach and pool. 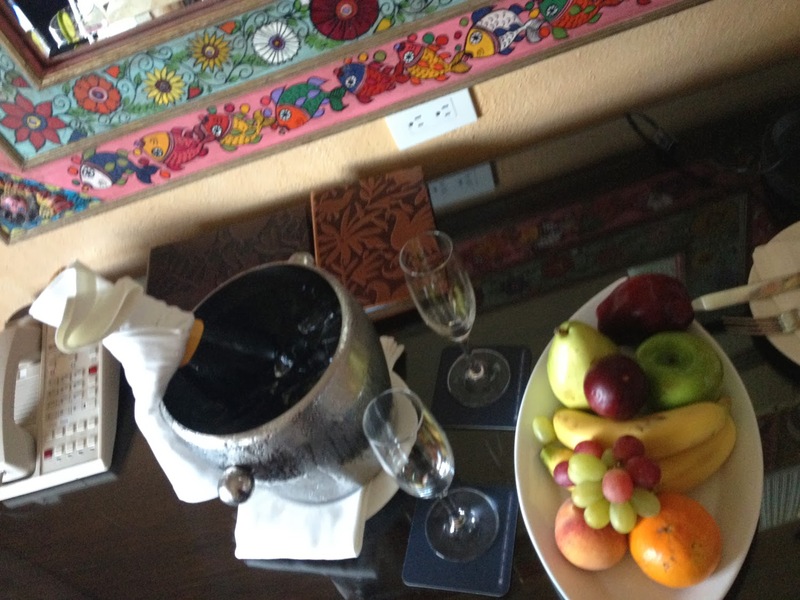 We had a few other surprises waiting in our room at the Hilton Los Cabos. 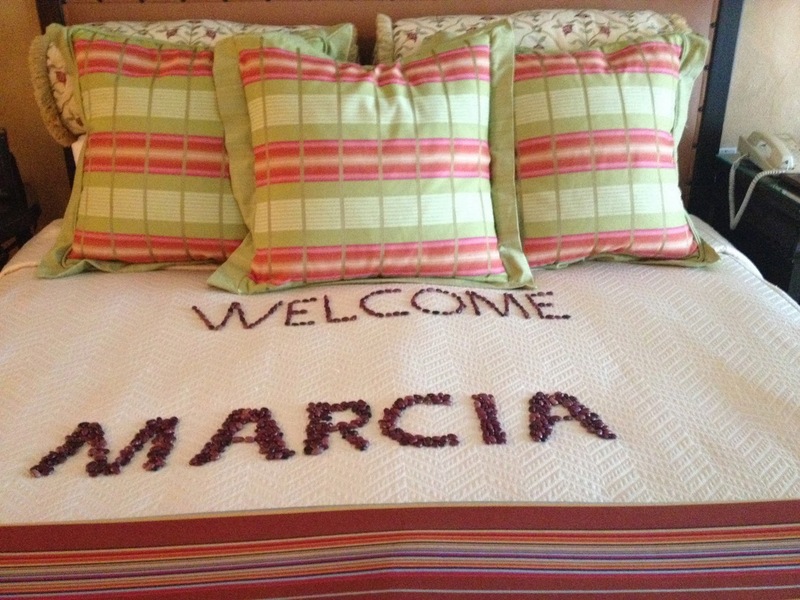 My bed had a very personalized welcome and there was also a fruit basket and a bottle of prosecco waiting for us. It didn’t take us long to open it and toast to the beautiful beach in front of us. 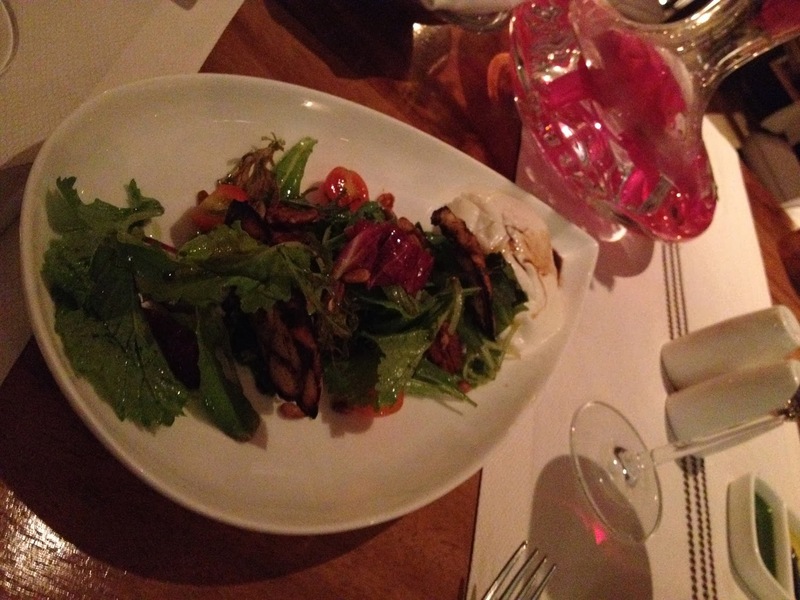 After unpacking and freshening up, we went downstairs to dinner at the hotel’s Italian restaurant, Fenicia. It was beautiful with comfortable booths and overlooked the gently lit pool. The menu looked amazing and we had a really hard time deciding what to eat. We made it a little easier by sharing the two first courses. 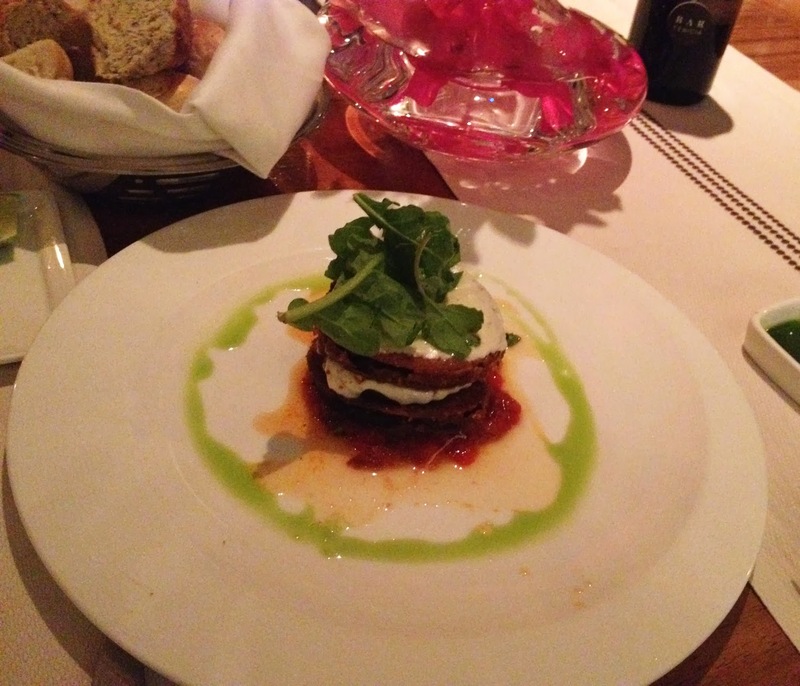 The Parmigianino di Melanzane (Eggplant Parmigiana) had think layers of crispy eggplant with just enough sauce and cheese. It was perfect with my Chilean Sauvignon Blanc, though Lynn preferred the house Mexican merlot-tempranillo blend. We then chose a salad off the Mozzarella and Pomodoro Bar menu, picking the Burrata cheese with roasted artichokes with pesto, cherry tomatoes and nuts. It was just perfect in a light balsamic. For a main course, I definitely made the right decision with the Fettuccine Verdi con Ragu d’Agnello. It was green pasta with mushrooms and a superb Lamb Mint Ragu. Lynn enjoyed flank steak, with porcini, cauliflower and sweet potato and ricotta gnocchi. 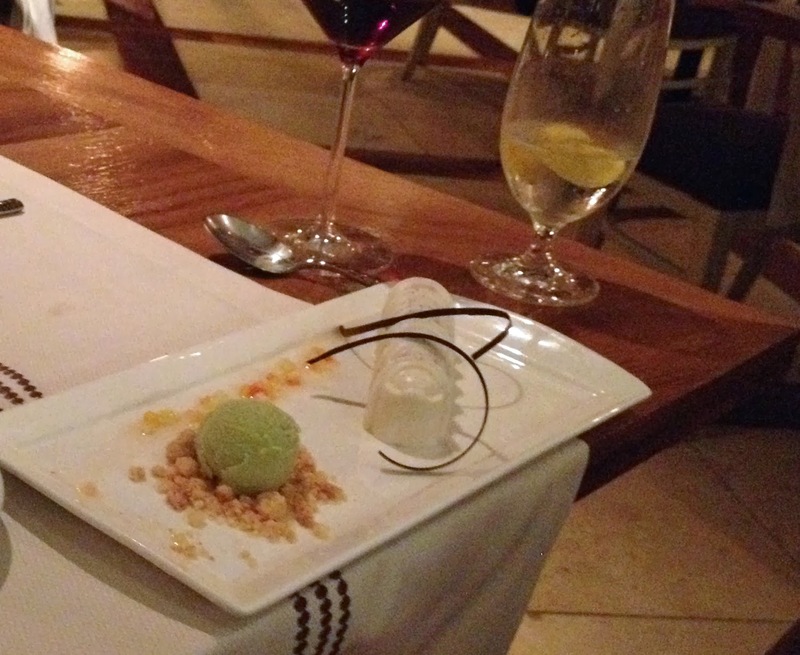 Lynn wasn’t thrilled with her panna cotta, but did enjoy the pistachio ice cream. I went for the chocolate, as usual, digging in to the Zuccotto al Cioccolato. We finished off the meal with a little after dinner tequila. It was, after all, Mexico, even though I had just finished one of the best Italian meals I’ve ever had. After the long day of travel, it didn’t take me long to drift off to sleep when we got back to the room. 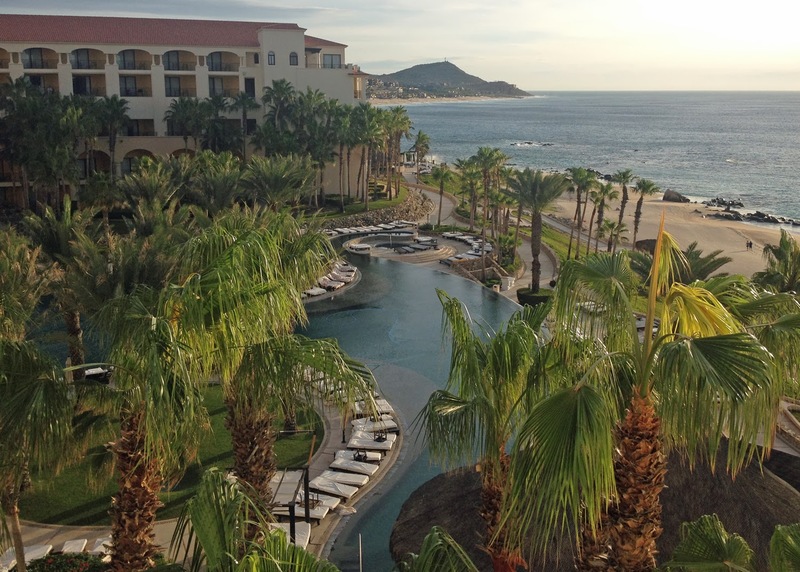 It was a good thing, because there was a long day of touring ahead of us, and I was also looking forward to spending some time in that infinity pool at the Hilton Los Cabos Beach & Golf Resort I so clearly saw in outside our balcony.